KWV’s Cathedral Cellar, home to some of the largest wine vats in the world, has always been considered the ‘womb’ of this pioneering wine company. 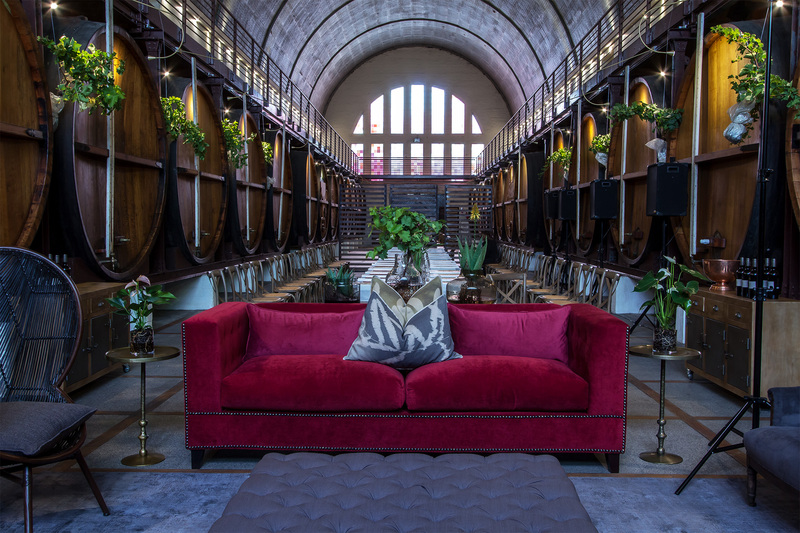 It was built in 1930, and the South African wine history – some in memory and others carved on the larger-than-life stuk-vats – are guarded underneath Cathedral Cellar’s towering dome-shaped ceiling. This year, in celebration of KWV’s 100th year, this incredibly beautiful space has been converted into a brand-new event and private dining venue, reflecting its past joie de vivre. 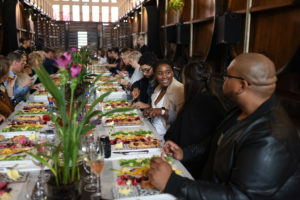 Experiential cook and Consultant Chef and Ambassador to KWV, Chef Mynhardt Joubert, has been given custodianship of the venue, which is named Mynhardt’s Kitchen at Cathedral Cellar. In 2005 architect Johann Wessels, who was responsible for the restoration of Cathedral Cellar, faced the challenge to create a serious wine production environment which could still accommodate public access. That goal has now come to its ultimate fruition: from today onwards anyone will be able to book a memorable dining experience in Cathedral Cellar, for groups of 20 up to a 100. Guests will be seated at long tables, flanked by imposing, 12000 ℓ stuk-vats, some showing historical winemaking scenes carved by father and son, Karl and Karl-Heinz Wilhelm in 1969 and 1970. On either side of the impressive hall are large coloured windows – in tones of blue and green on the one side, and red and orange tones on the others side, resembling the Paarl mountain in the east and the setting sun in the west. 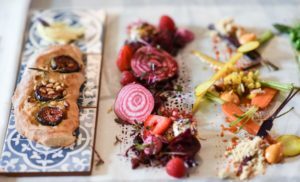 Mynhardt was first welcomed into the kitchen of South Africans as the winner of the first season of KykNet’s reality cooking series Kokkedoor – and he has since become a familiar name in culinary circles. Today Mynhardt is well-known for his generous, homely and creative entertainment style. Mynhardt grew up in the Eastern Free State, a background which still shapes his culinary approach: he is inspired by traditional food with a strong heritage link. The food Mynhardt prepares are really renditions of stories he has accumulated over the years. Guests who book a seat at Mynhardt’s Kitchen at Cathedral Cellar can experience these stories first hand in the form of a culinary journey.